Scott L. Barry D.M.D., M.S., Donna Mattscheck, D.M.D., Emily Case, D.D.S. I have been in a lot of dentist and endodontists' chairs and really get anxious about it. Dr. Mattscheck and her staff hit a home run with me. She was incredibly patient, made the whole experience pain-free, and most important of all, knows her craft. She explained my choices more clearly than I have ever heard, and helped me make decisions about treatment. This afternoon, I had two simultaneous root canals, and am very comfortable at home this evening. I have been to a lot of specialists, and she is the best. Thank you for your patience, your clarity, and most of all your skills and abilities in helping me. it was like being cocooned in a whole lot of care and support! Thank you for the wonderful care you gave me yesterday! but Dr. Barry, you and Elisha took great care in making me feel welcome and comfortable. And the experience in your office was top notch! Even the littlest of details like padded bite wing x-rays was amazing, I wish all dentist used those. to the equipment, but the best was the people! I have already told friends and family how if they need an endodontist, they should ask to be referred to you and be well taken care of! I will ask my primary dentist to put you as my preference if I need any future endo care. I have always been taken great care of by my primary dentist, Dr. X. When he retired, Dr. Y. took over as my primary, and he too has been excellent, and always makes me feel at ease. But when I was told that root canal work might be in my future, I became very nervous and uneasy, as I have always heard negative things about this process. After having it done in your office yesterday, I can say that my fears were unfounded, and that you sir, were excellent in your execution of my root canal procedure. Your staff was second to none. When my tooth got much worse, prior to my scheduled visit, you were also good enough to get me in right away and take a look. Starting me on some medication that greatly diminished my suffering was most appreciated, and the next day you were also good enough to get me in early and take care of my pending event, the dreaded root canal work. “Root canal is a beautiful event”, when it happens in your office. You not only have a modern office with a great view of Portland, your staff took care of me like I was their father. You just can not ask for more than that. In a profession that I’m sure always hears about it when it is not right, I thought you should hear about it when it is, and you sir are very right when it comes to taking care of your patients. If you ever need a letter of referral you can certainly use to this one. I would be happy to speak to anyone of your patients and assure them of the no pain, no anxiety experience I had with you. It would be my pleasure. Thank you again from the bottom of my heart. I am relieved to know if I ever need this again, I will travel anywhere to have you and your staff take care of it. If there is ever anything I can do for you, please do not hesitate to contact me. I am at your service. I was highly impressed with the office and will come back again (God forbid) if the rest of my teeth bite the dust. I am also recommending your office to all of my friends. My dental saga began when I was prepped for a crown at my dentist's office. My tooth became highly agitated and I was at the point where I would have pulled the tooth out myself with a pair of pliers. I needed a root canal immediately, and Dr. Barry's office agreed to squeeze me in before a long holiday weekend. I have worked in various medical settings in the past and was floored by the level of excellence within this tightly knit team. You know you are in the right place the minute you step through the door. Wendy is organized, efficient and genuinely cares about the well being of others. Elisha and Jessica are likewise caring individuals who are highly skilled at what they do. If I needed anything, they took care of it immediately (magazine, blanket, water, pain killers). And last but not least is Dr. Barry. I HATE having procedures done to my teeth, but I have to say that he and his staff made my root canal a pleasant experience. All of the materials used either smelled or tasted good. I could barely feel any of the injections (and because I take a long time to get numb...believe me, there were plenty of them). Dr. Barry is confident, highly competent, and has a great sense of humor. He and his team turned a really negative situation for me into a positive one. AND...they call you to check up on you after the procedure! The entire experience made me feel really well-cared for. These people are the best of the best, and I would not hesitate to come back again. During your treatment in our office, we use state of the art techniques and equipment that is on the technological forefront of endodontic care. We are completely computerized, from our dental records to our digitized radiographic techniques (only a fraction of the radiation compared to traditional x-rays). We also use the most current endodontic instruments available on the market, including nickel-titanium (flexible) instruments, automated rotary endodontic instruments, and state of the art high-magnification dental microscopes. The CS 8100 system is state-of-the-art technology that provides our doctors the ability to diagnose potential dental issues more accurately and provide treatment with unprecedented confidence. Unlike a traditional spiral CT scanner, this 3-D system utilizes cone beam CT technology and provides precise, crystal-clear digital images while minimizing your exposure to radiation. Our 3-D imaging system enables us to perform a wider range of diagnoses and treatments in our office, which can improve endodontic treatment outcomes. The CBCT system brings the latest 3-D technology to Advanced Endodontics , providing unmatched visualization of anatomical detail that aids in both treatment planning and endodontic treatment. The enhanced imagin also helps us better explain the particulars of your case and address any questions you might have. The doctors can use this innovative technology to quickly and easily share 3-D images of the area of concern with your referring doctor, allowing the doctors to collaborate on your care, improving your experience and delivering a positive treatment outcome. The GentleWave® System for Root Canal Therapy is the very latest and most innovative technology in the field of Endodontics. It presents a major advancement that helps us achieve our goal to clean out the very complex root canal system within the tooth. The root canal system in multi-rooted teeth, especially molars, consists of intricate channels for the nerves and blood vessels. While our traditional methods of cleaning out the root canal system do a very good job with the main canals, we are always evaluating technological advancements and incorporating them into our practice when we believe that doing so will help us provide a higher level of care than previously possible, and help us save more teeth for more of our patients. The GentleWave System delivers a broad range of sound waves within the complex root anatomy in concert with continuous irrigation. And, in a matter of minutes, results in the complete cleaning and disinfecting of the entire network of canals. The incredible effectiveness of this system also allows us to conserve more tooth structure than ever before. We are very proud to be able to offer this level of care to our patients. 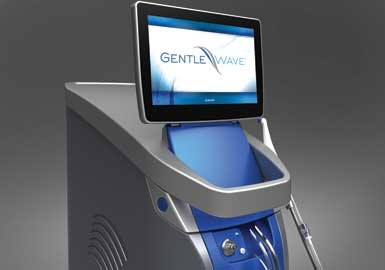 Ask your doctor if your root canal would benefit from the GentleWave technology. Our entire team is dedicated and concerned about our patients’ protection from microorganisms, infectious disease, and cross-contamination. We have a responsibility to make our office and procedures safe for all of our patients. The entire staff is thoroughly trained and regularly updated in infection control procedures. “Universal precautions” are used with all patients (all individuals involved with the treatment wear surgical masks, surgical gloves, and protective eyewear). Preventive barriers are used within each patient care area, and each room is completely disinfected prior to and after treatment. A ll dental instruments are hand washed, ultrasonically cleaned, and then heat sterilized. Here at A dvanced Endodontics, we take pride in cleanliness, and we employ the latest sterilization methods with the highest standards for infection control and sterilization.